So I made a little treat for myself on Christmas Eve. Although it is okay to have cheat meals every now and then at this point in my prep, I do not want to go overboard. 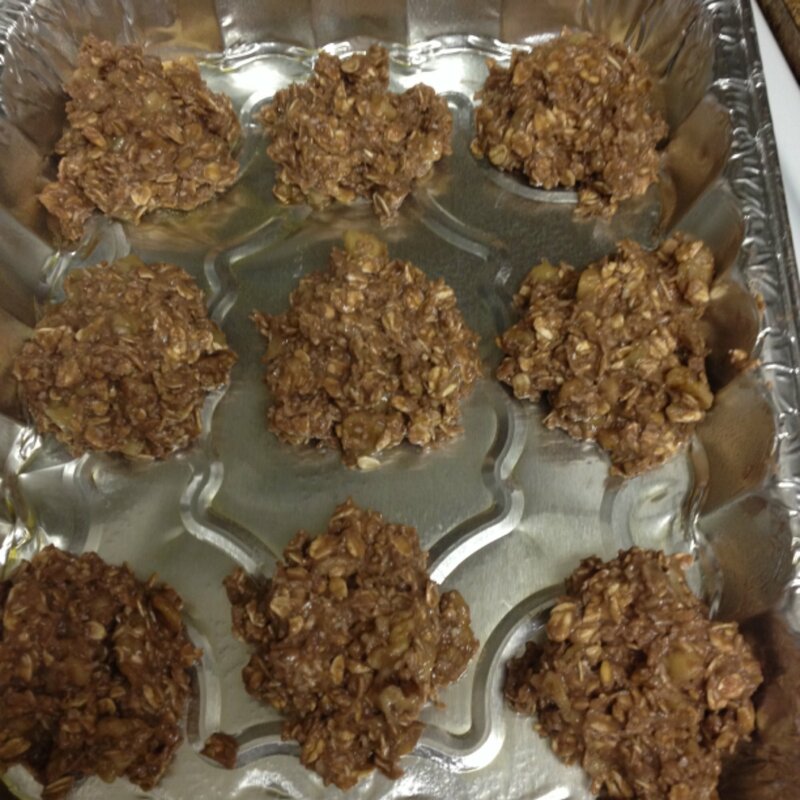 I have been viewing Pinterest a lot and I came across a very simple recipe for oatmeal cookies. I added my own touch with protein of course. Combine all ingredients in a bowl until mixed well. Divide into 9 or more small cookies. Bake at 350 degrees for 15 minutes. They are great for a post workout meal.